In South Louisiana, there are many beautiful architectural building materials that grace our homes & businesses. But perhaps did a metal roof catch your eye recently? Maybe you were drawn in by the sleek, classic design. Or perhaps it made your radar because of all the buzz surrounding their energy-saving power? Whatever the initial draw was, now you’re left wondering if a metal roof is right for you. Well, there’s only one way to find out. At JOI, we get many questions about metal roofing, so let’s jump right into discovering their capabilities to help you decide. Many homeowners find themselves surprised at how much maintenance is required to keep a roof in good shape. Even if you regularly invest time and money into your asphalt roof, in the New Orleans area it’s unlikely it will last more than 15 years. On the other hand, a metal roof can stick around for over 60 years! That’s nearly a lifetime. With that kind of durability, you’ll save big on replacement costs and general upkeep. Unlike traditional asphalt roofs, metal roofs incur less discoloration and staining. Of course, there are no shingles to lose or shed. Metal is actually one of the longest-lasting materials for roofing, making it a wise choice for low maintenance home ownership. Looking to go green? A metal roof may have the energy efficiency you’re looking for. Poor energy efficiency can be costly and wasteful, and your roof may be the guilty party. A metal roof provides two key benefits for reducing energy loss: attic insulation and infrared reflection. Insulation reduces costly attic leaks. Metal roofs with reflecting properties can maintain a lower temperature than other roofs. These two advantages will decrease the overall amount of cooling energy your HVAC system needs to expend, which in the South is always very important. Metal roofs also make excellent sources for harvesting rainwater. You won’t need to filter the collected water as much as you would with an asphalt roof, which contains more chemicals in its tiles. The actual metal in your roof is earth friendly too! The material is made partly from recycled materials and can later be recycled once it’s time to replace it. Metal roofs are made of interlocking panels, which provide a sturdy protection against severe weather. Some of are even designed to hold up against the strong hurricane winds and torrential downpours that regularly afflict our area. After an especially heavy storm, you won’t find missing shingles and roof debris all over your yard either. Some people think of the sound of ‘tin’ roofing romantically, but if you don’t & you want to muffle the sound of rain falling on your roof, there are options for you, like some extra insulation. Of course, no matter your roofing material you should always keep up with regular inspections. While your roof may not show any visible damage, ongoing maintenance can catch little problems before they get worse and extend the life of your roof. As you might have imagined, environmentally friendly buildings and the sustainable lifestyle are here to stay. An energy efficient home brings a lot of curb appeal. Likewise, a metal roof has the potential to increase the value and allow you to recoup your investment later on. As for installation, these roofs are fairly lightweight and can be installed, repaired and replaced quite quickly. You’ll find your time investment to be less costly in comparison to other types of roofing materials. Finally, the classic design also works well with a variety of structures, styles, and colors. In certain Mandeville neighborhoods, as well as some in Covington or Metairie, this intrinsic beauty is essential. Additionally, your roof will transition well as you update, remodel or repaint over the years. As you consider your options for metal roofing, keep quality and expert craftsmanship in mind. 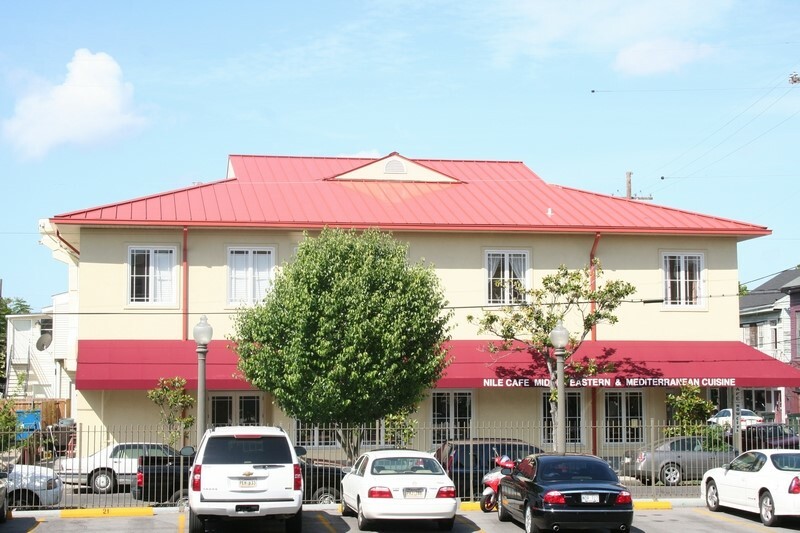 For a free estimate, contact Juneau Odenwald Roofing, providers of commercial & residential roofing services in the New Orleans area for nearly 20 years.